The Sunscreen Film Festival West is dedicated to education, economic development, enhancing opportunities for filmmakers and increasing awareness and support of filmmaking as a cultural and economic asset. 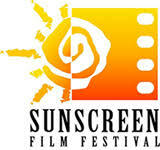 Sunscreen is one of only a few film festivals nationwide to be sponsored and acknowledged by the Academy of Motion Picture Arts and Sciences. In 2013 Sunscreen launched in the South Bay after 8 successful years in Florida. Sunscreen Film Festival West is happy to call the Hermosa Civic Theatre home and hopes to keep growing as a South Bay destination for filmmakers and Film Lovers. Three Skeleton Key will be screening on Friday, October 6, 2017 between 6:00 PM – 7:30 PM.